IUL instruments' family of test tube dilutors. 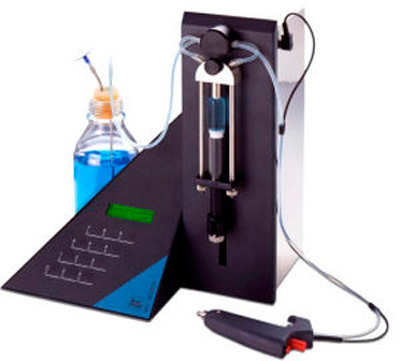 As a microbiological volumetric dilutor, the Bio-Dilutor is preset to 1:10 serial dilutions, but can be reprogrammed to any dilution factor between 1:1 to 1:1000. Connected to an external balance, it can also be used as a gravimetric dilutor. With a tradition of more than 18 years, and choice of digital or analog operations, these test tube dilutor’s models incorporate state-of-the-art mechanics and small bench space design. Min. sample volume 1% of the syringe volume used. Warning notice if it is less than 5%.